This photo highlights a terrific install of V3700-6L107 Grand Illusions Color Spectrum Barn Red (L107) vinyl T&G privacy fence with straight top Classic Victorian pickets. 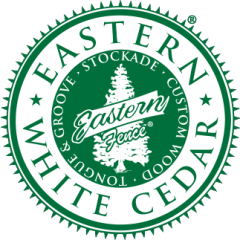 So your customer has a white house with red trim? What’s a fencer to do? 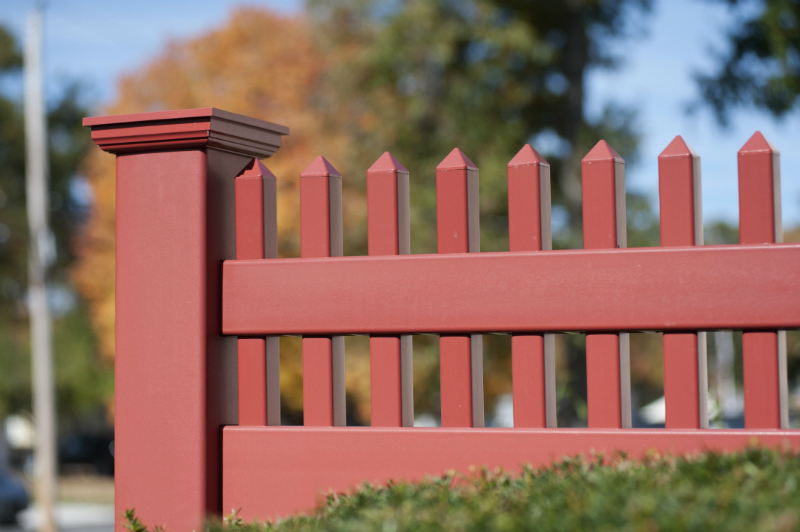 A good old fashioned classic white PVC picket fence could always work? It’s a safe fencing choice and it does its job nicely. We will happily continue to produce it. But, for the sake of argument, it has been done before. Over and over… and over again. Take a look at the above install. The homeowner went in the completely opposite direction. They didn’t match the fence to the dominant white house color. Instead they went with the red accent color. The red of the fence matches perfectly to the trim of the garage and the red deck and railing. They certainly could have gone with Illusions Classic White Vinyl Fence Panels and it would have been fine. It would have been the status quo. The Joneses would have been thrilled that yet someone else was trying to keep up with them. 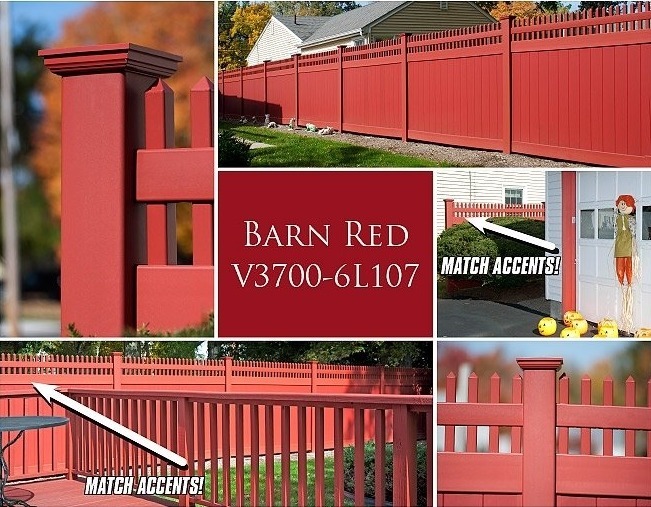 But instead they picked the Illusions V3700-6 tongue and groove privacy fencing with a straight victorian in L107 Barn Red! Which laughs at the Joneses as it passes them right by. This house, more importantly, this fence, stands out proudly in an overwhelmingly vast sea of white fences. the vinyl fence reviews are in and Illusions is the winner! No one does color and wood grain pvc fence like Illusions. 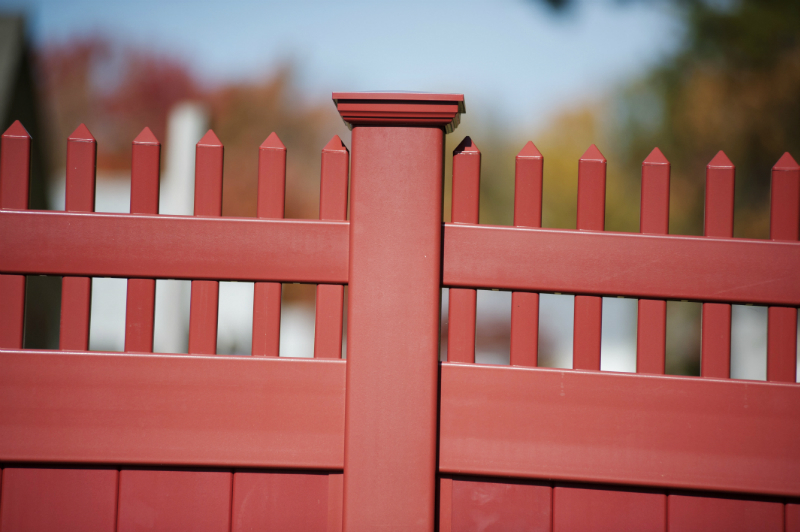 The best backyard and fence ideas come from the heart! 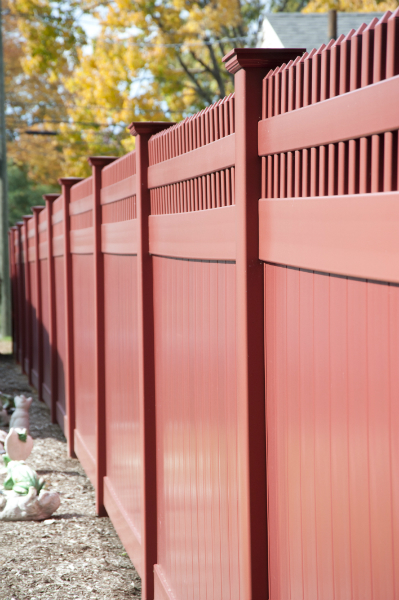 Color and wood grain vinyl fence that looks like stained or painted wood fence. But without the maintenance! Friends… Molds were meant to be broken, and we’re providing you with the hammer. Some other awesome Grand Illusions install pics here.